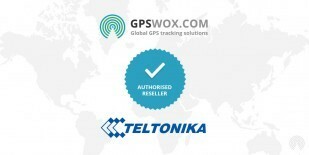 Commands can be sent via GPRS or SMS(sms gateway must be enabled (Setup->SMS)). 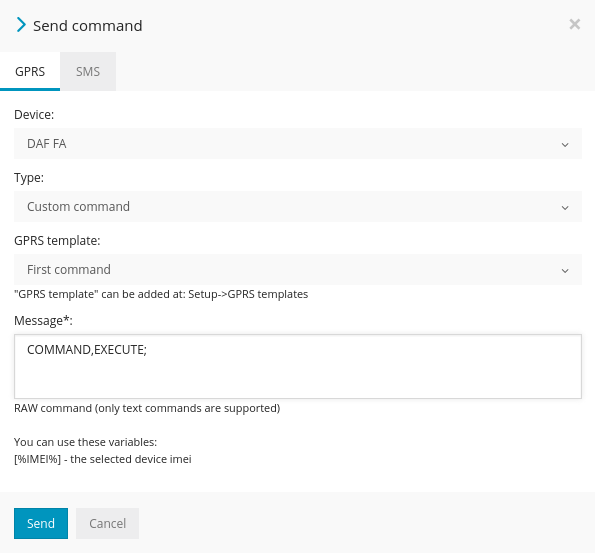 Type - if you select custom command, you will be able to send RAW gprs command to the device or select GPRS template you created in Setup->GPRS Templates. If you want to see your specified gprs commands for selected device only, please go to Objects->Edit->Advanced->Show gprs templates only. 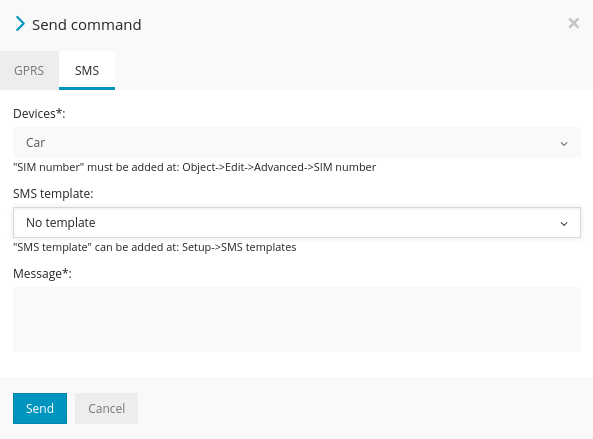 In order to send sms command to the device, sms gateway must be enabled (Setup->SMS).